Elianna has taken charge of the care and keeping of our nature table; clearing it up every month and adding the various flower fairies and gnomes that reflect the changing seasons. Both girls delight in adding the treasures they find in our garden and on our walks. The toadstools tend to make a year round appearance as we always seem to find fungus of one sort or another on our walks. 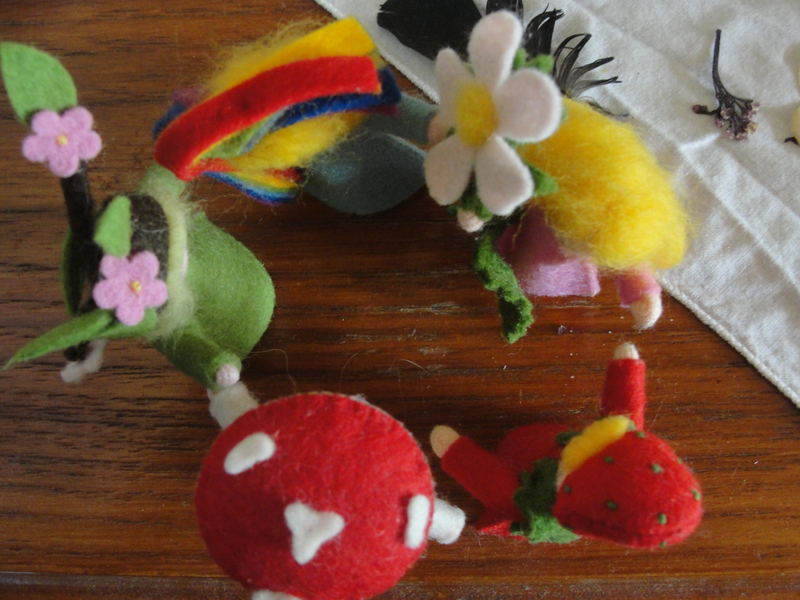 And our fairies form a magic circle…. I would love to hear how you get on if you decide to make a nature table. I have just found your blog after buying your new book, which is wonderful BTW just what I had wished for only a few days ago! I absolutely love your gnomes and fairies, please how did they come to live in your house? Are we likely to see them again on the blog? My little girl would go mad for these, she is four and loves making fairy soup in the garden and looking for fairy houses out on nature walks. Thank you very much for your kind comment! Our Gnome friends came to live with us from the U.S. 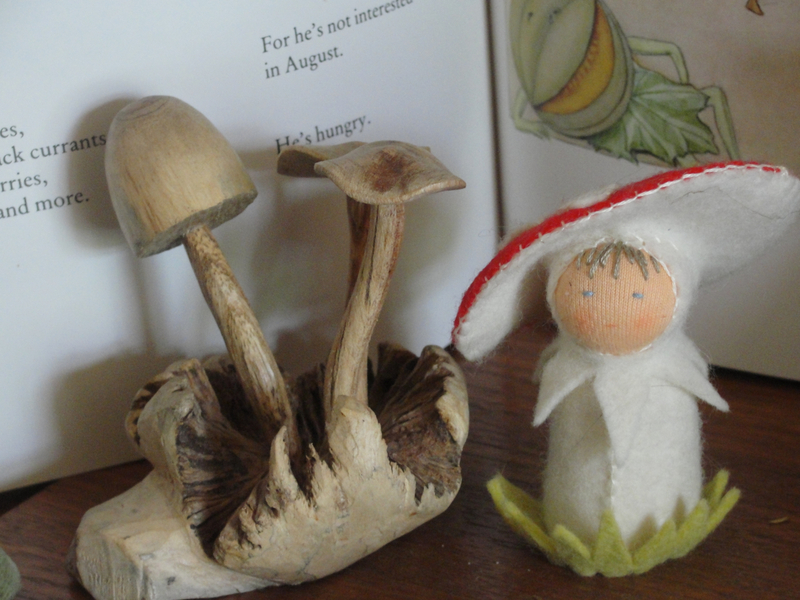 The fairies came to us via myriad online.co.uk, and I made the wee mushroom child 🙂 I am sure they will reappear now & then. 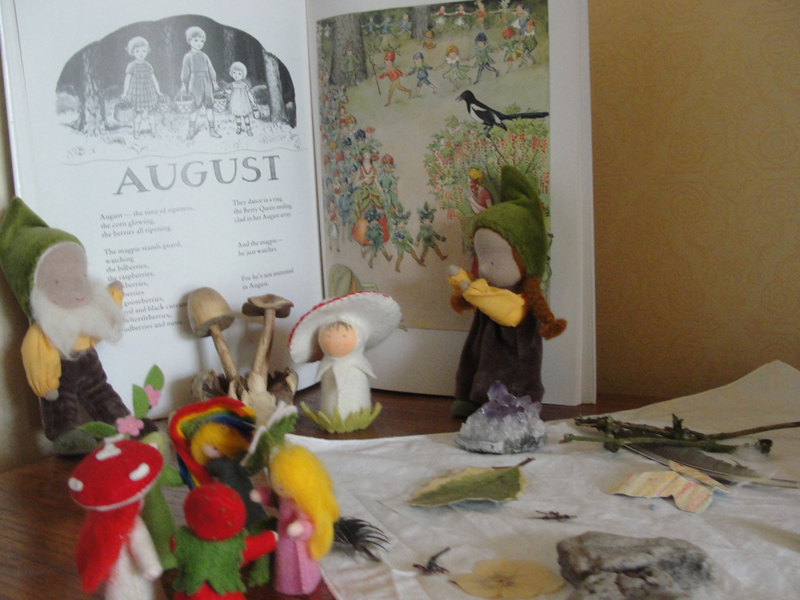 It is lovely that your daughter is so engaged with the fairy folk…have you seen this book? It is ever so lovely. We will be following along with your nature studies we are all looking forward to it, but as I don’t do Facebook we can’t share although we are doing it. My son watched captivated as a kestrel was hunting today. Thank you look forward to sharing, children will love it.